Link Resources is a Link Resources Directory of Kinson CPA comprising export promotion & marketing resources and business services resources for small business enterprises. We welcome Link Exchange with websites of business services, export promotion and marketing, etc. 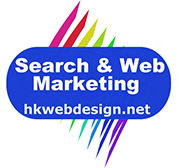 It will benefit both of us by increasing the visitors' traffic and website ranking in most search engines. If you would like a reciprocal link with us, send us an email with the URL and description of your page you would like to place. You may pick from the following text and make up your own from our link. 1. Links are divided by grouping of domain name and added on a first-come-first-serve basis. 2. We may decline to link to some websites due to lack of relevancy, adult sites, etc. 3. We do not endorse the content, services, and products of the websites listed below. Kinson CPA - Hong Kong Certified Public Accountant - Kinson offers Auditing, Taxation, Company setup, Company Secretarial Services, Accountancy & Business Services, , MYOBB Software, Insdvency & deregistration and Immigration to HKetc.